We’re so thrilled that glorious sunny weather is finally upon us. 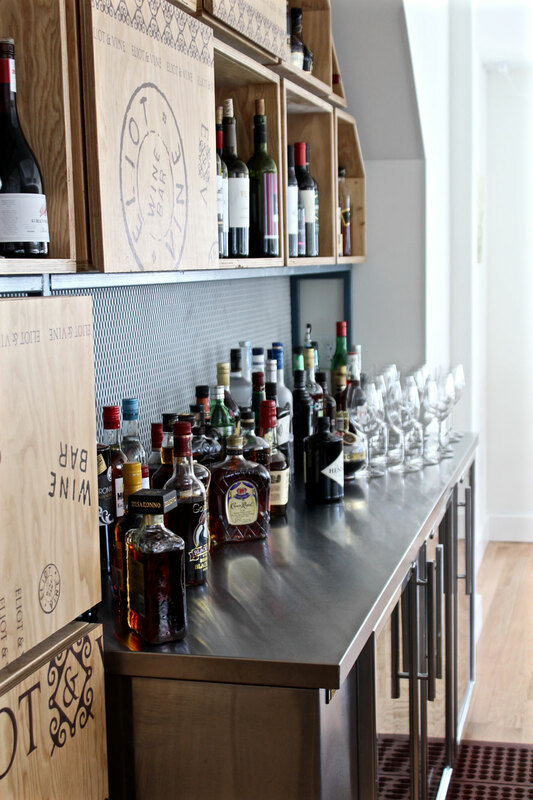 As the first rays of the afternoon sun beam down through our windows and light up the restaurant, we can’t help but marvel at how amazing the place looks. 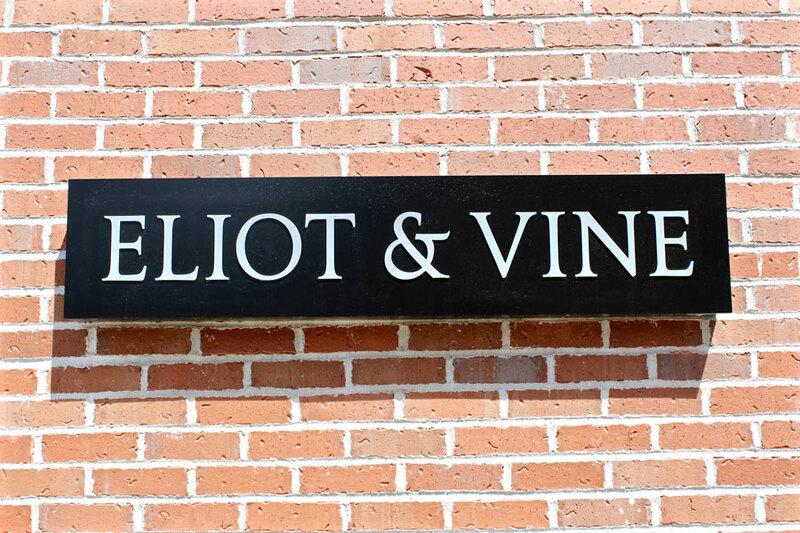 We’d like to give a shout out to some of the fantastic hands that helped put the aesthetic of Eliot & Vine together. 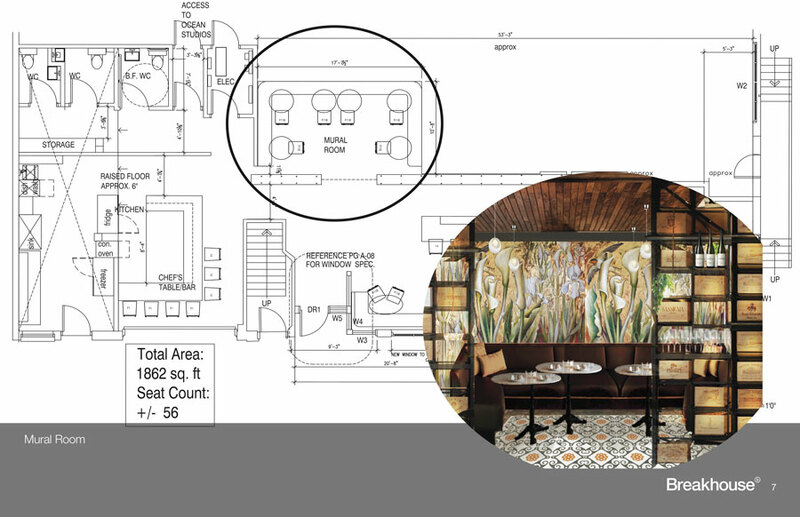 Eliot & Vine’s entire layout, plan, logo and design came into the world thanks to local architecture firm, Breakhouse. 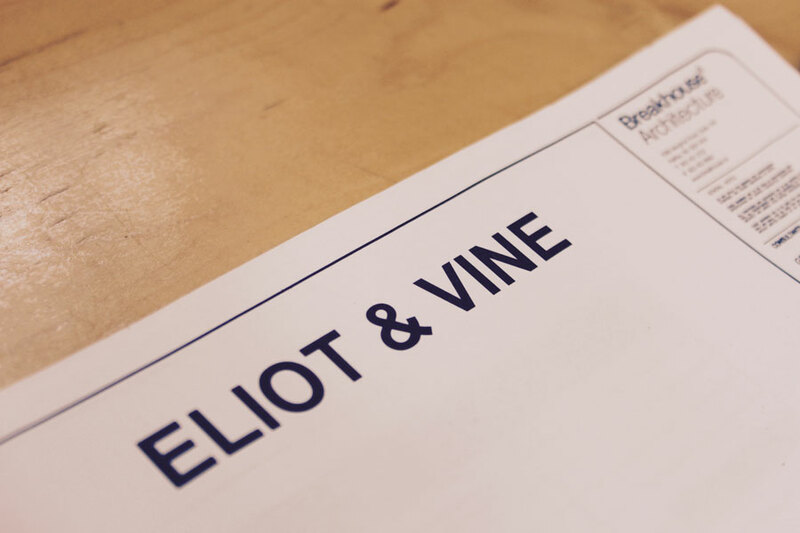 Here’s a peek at the initial Eliot & Vine blueprints they drew up for us back in the fall. 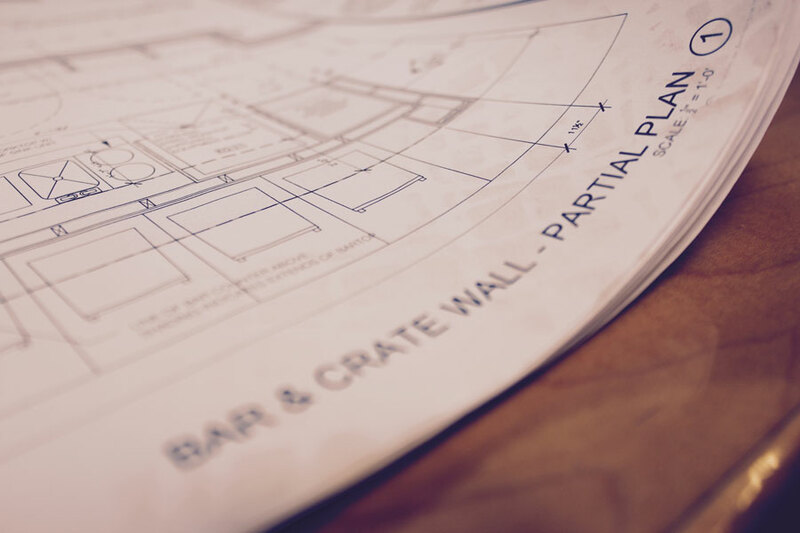 The hands that built our beloved restaurant. They sacrificed weekends, endured bad weather to bring the figments of our imagination to life. 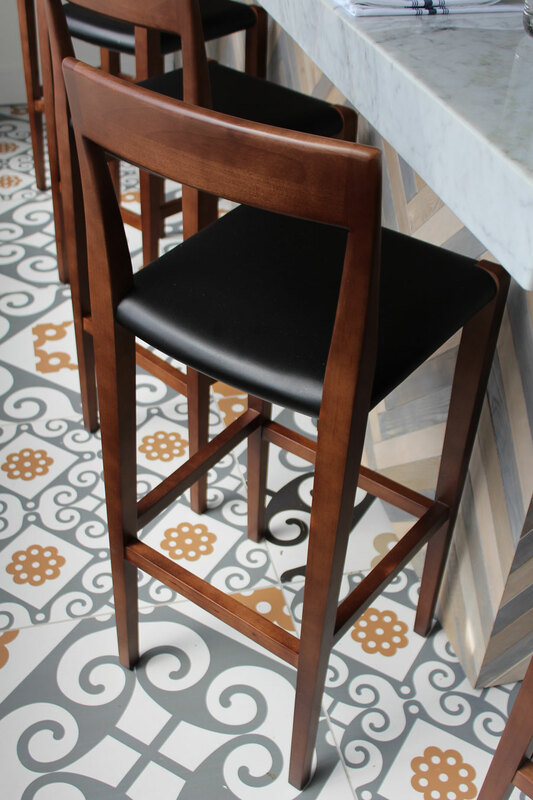 One of the milestone moments in the creation of a restaurant is when the furniture arrives and is finally set out on the floor. 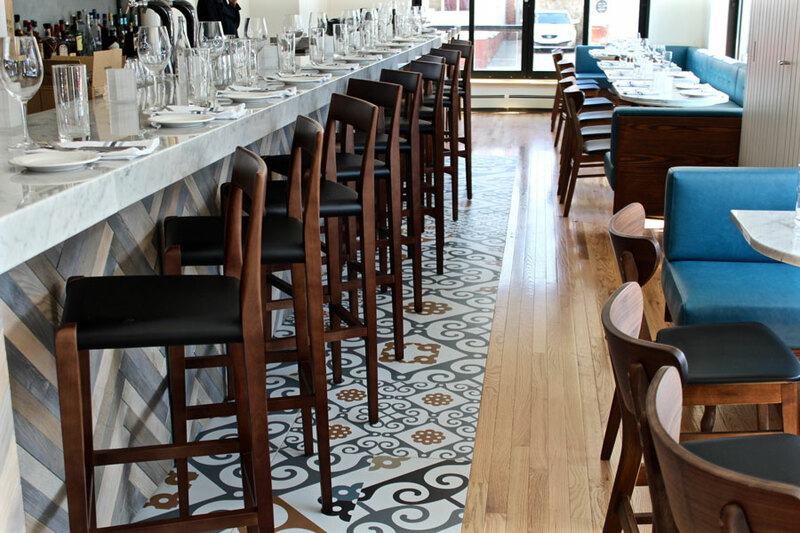 We really felt the warmth and excitement the minute we got our shipment of chairs and bar stools from Attica. 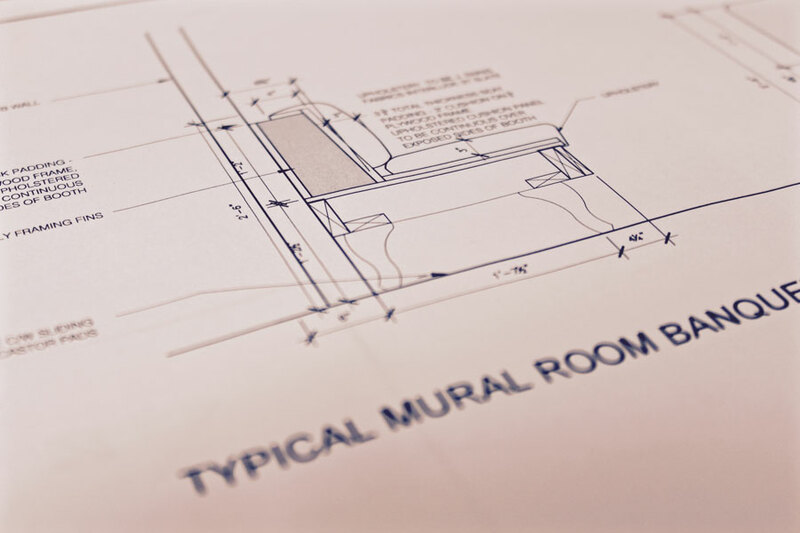 When good design, quality and great service come together, it’s a good, good thing. 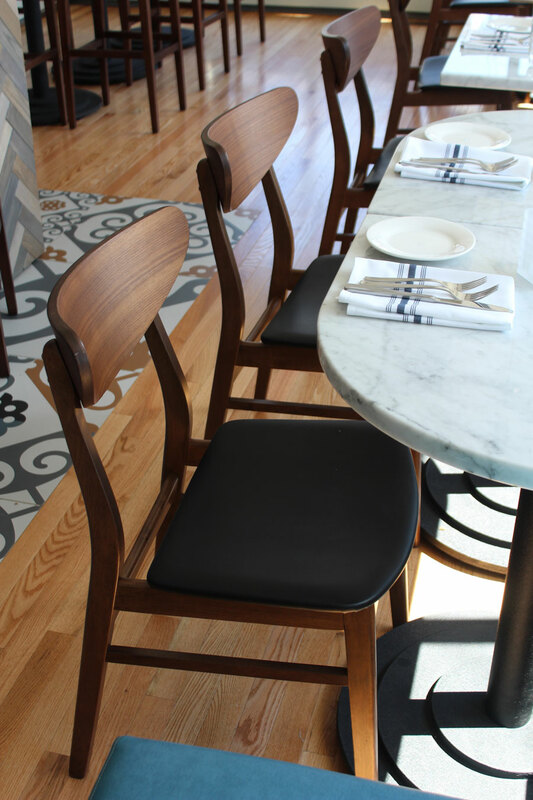 Check out our gorgeous chairs!! If we didn’t have a sign, nobody would know who we are. Thanks to Eye-Candy, we don’t have that problem.